I’m obsessed with flowers. Real ones, fake ones- who cares! I have a love affair with all kinds of flowers. 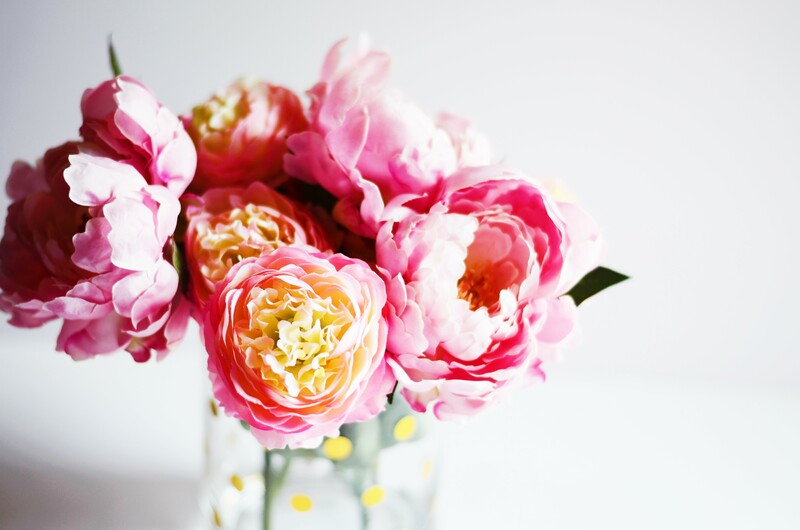 My absolute favorite flowers are peonies, tulips, Gerber daisies, hydrangeas, and did I mention peonies? I love to buy faux arrangements for my desk and my room but they can get pretty expensive. Today, let’s look at an at-home option! 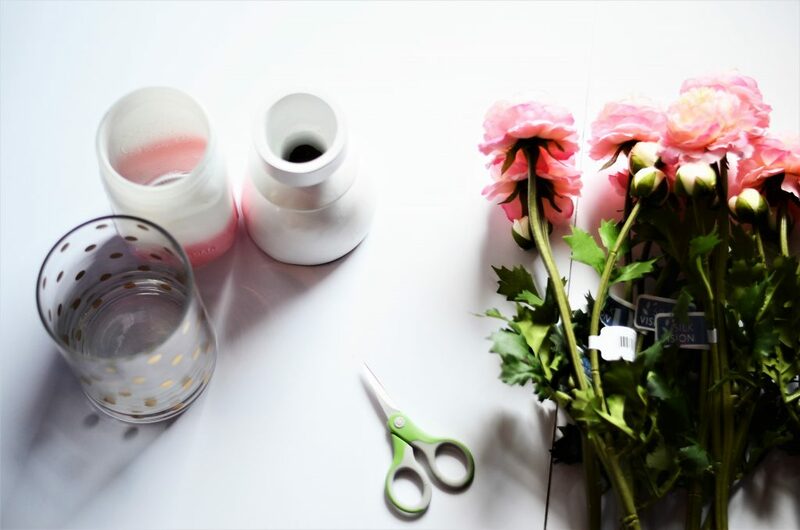 I am going to give you a few tips and tricks for how I make my own at-home faux arrangments. That way I can customize it to my favorite colors and budget! Thank you CSI Wall Panels for sending me these gorgeous flowers from Silk Plants Direct to review and use in this post! I’m sure everyone has their own way of making a faux arrangement but today I want to show you how I do it! I’ve tried both buying them whole and making them; I surprisingly prefer to make them myself! Let’s take a quick look at what you will need! Flower tip! 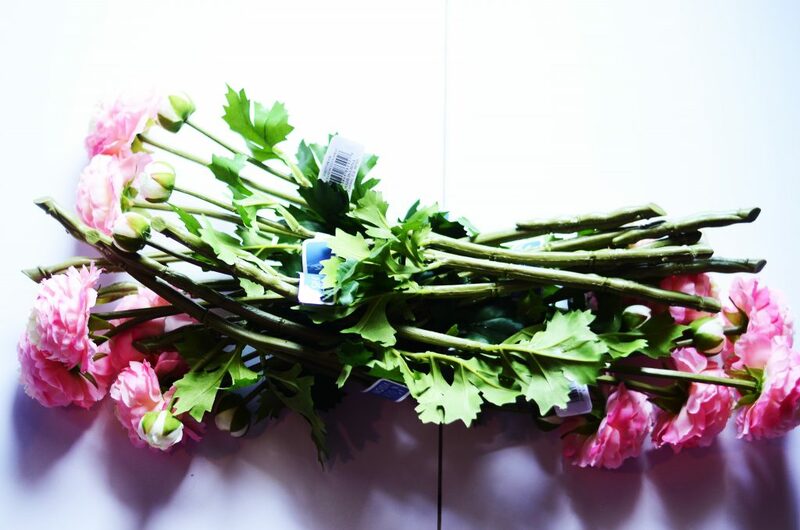 Silk Flowers offers hundreds of amazing colors and kinds of flowers. Honestly, they are some of the most beautiful and realistic faux flowers I have ever seen. Most of these come in multiple sprays so you can make one big arrangement or several smaller ones like I did. Remember when you look at prices that these are high quality and come in packs! Usually, you would have to buy them in singles. 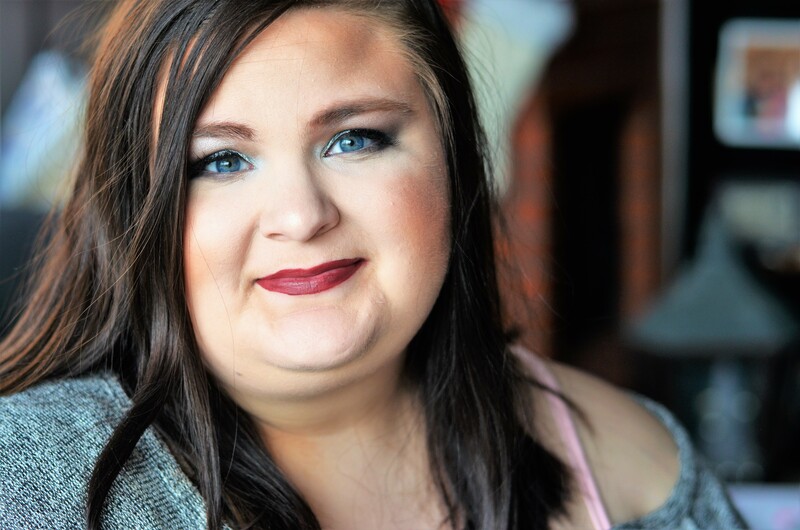 Definitely check out this site, they’re stunning. Silk Flowers Direct has offered my readers 10% off their order! Remeber that this is where you get to customize it! 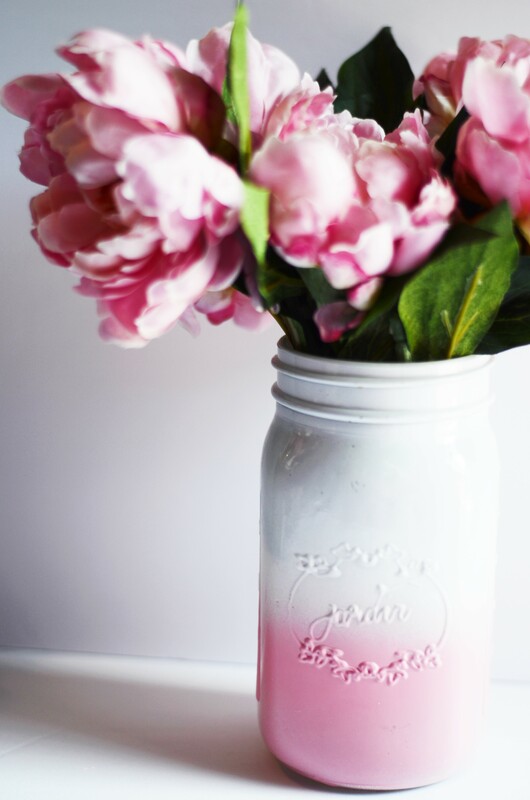 So search for a vase or jar that you really like or matches with your decor. 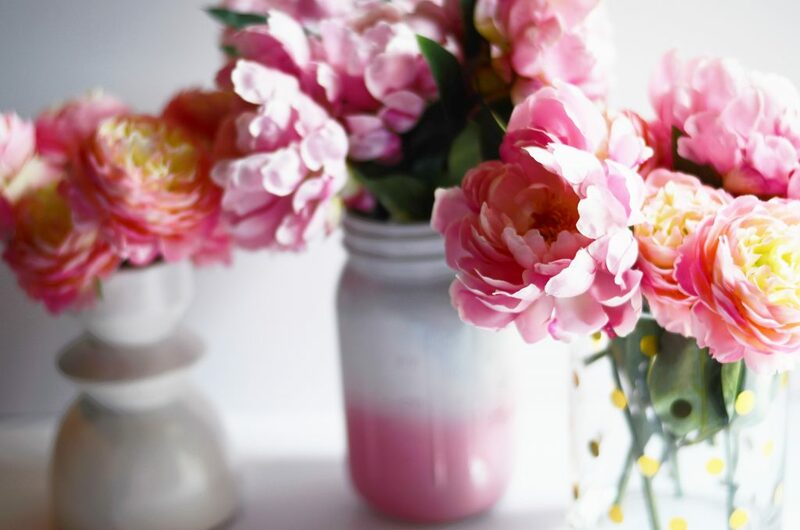 As well as pick a few different kinds and colors of faux flowers to use! I want to share a money saving tip with you! Money Saving Tip! Check goodwill, salvation army, or sale racks at Home Goods and At Home for vases. I have found some of my best jars and vases for extremely cheap at these places! I would rather spend more money on the flowers than the jar so don’t forget to check out these places for a good deal. Anyway, let’s get to my quick and simple steps for creating a faux arrangement. It is extremely simple and fast! 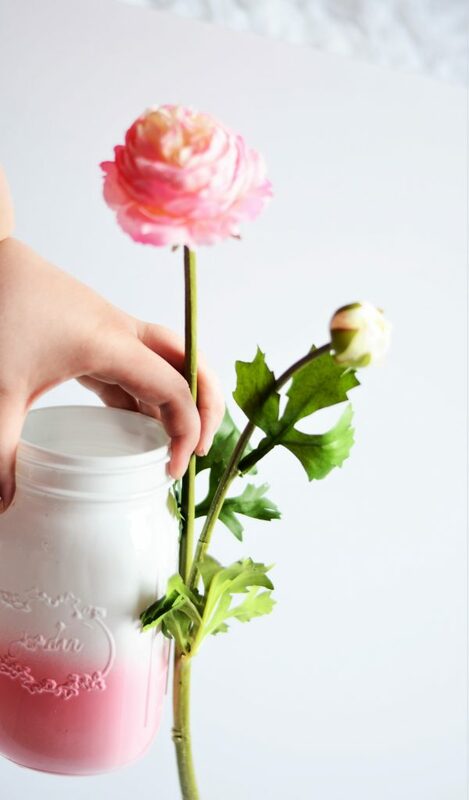 Tip: hold the vase up and the stem to accurately measure- you don’t want to cut your stems to short- always air on the side of too long because you can trim it! 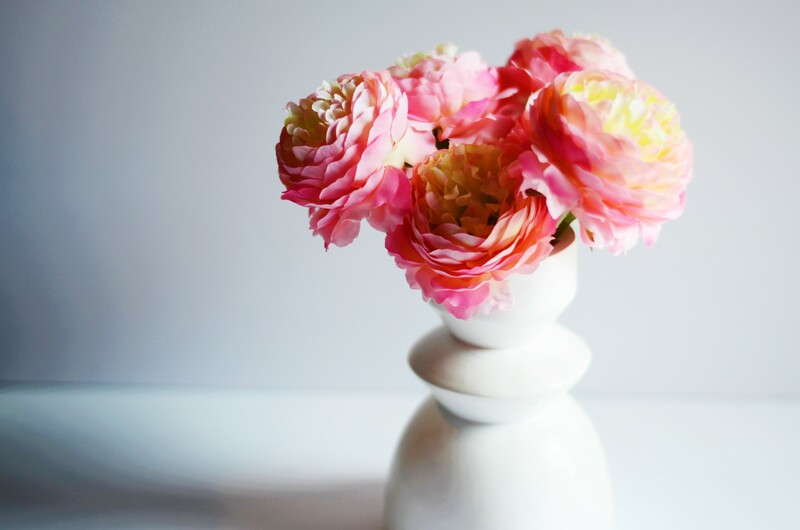 Tip: Don’t cluster each kind of flower together- mix them up so that they blend together! Most importantly, have fun! Remember that the key to doing them yourself is to make it like you like it! I prefer lots of pinks, white, and gold but you can do any color scheme you like! 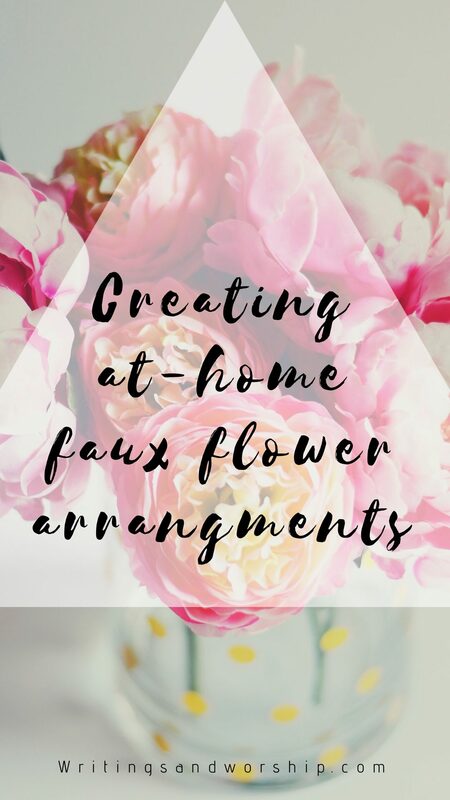 Have you ever made your own faux flower arrangments? I’d love to hear about it! Comment below! 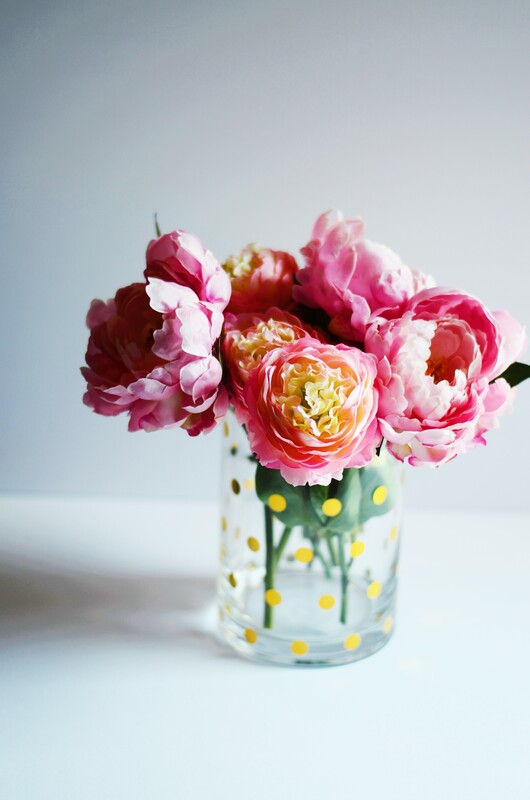 I love flowers, especially the peonies you used! 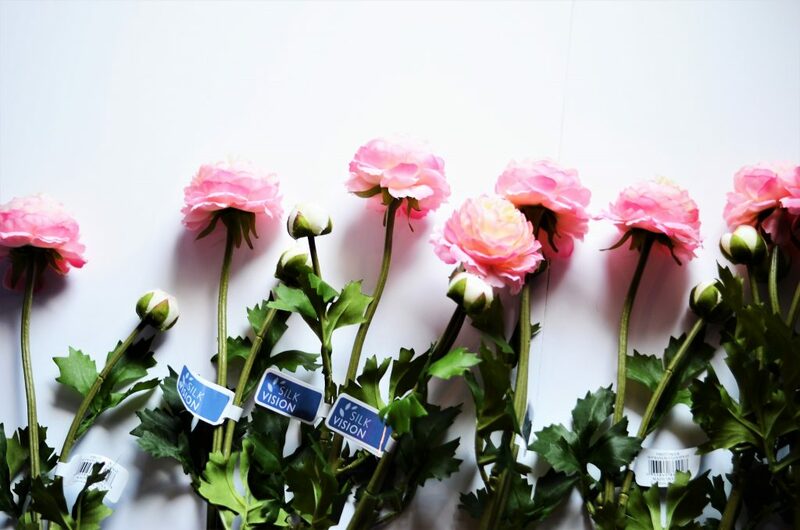 I wonder if silk flowers would be a good alternative to fresh flowers for a wedding…hmmm..Regardless I will check out the website to see all the beautiful flowers they have to offer!